With over 20 years experience in planning and delivering tent rentals for events, parties and emergency situations, our professional team can assist you in planning your next event, no matter the type, size, location or circumstance. We understand that planning an event can be overwhelming and that most people don't plan events for a living. Worry not--we do! At In Tents Events, we pride ourselves on delivering great customer service which begins by listening to your needs. Take the stress and guess work out of planning your next event. 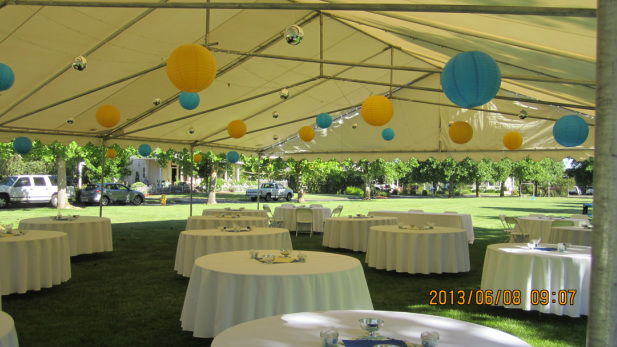 Call our professional staff and let us create the perfect tent or staging structure for your event. We offer emergency services last-minute weather provisions also. and your phone number. We'll be in touch as soon as we can. Our office hours are currently Tues.-Thurs.